Victory - Honor God. Make Disciples. | Change a Life, Change a Nation! You are here: Home / Change a Life, Change a Nation! 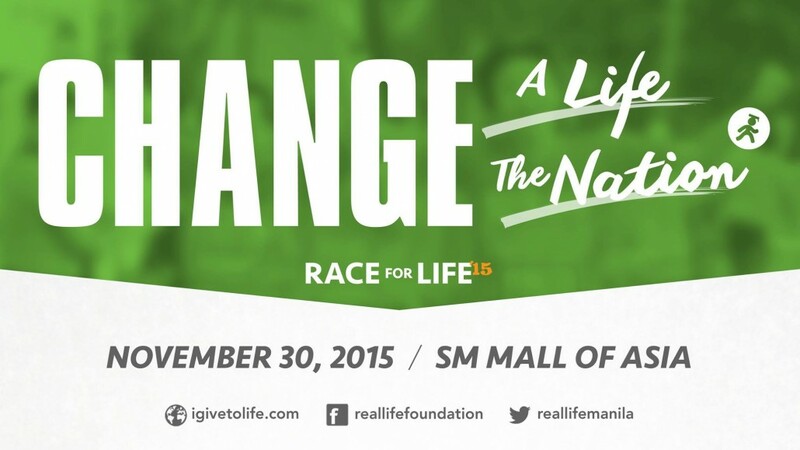 Join us at the Seaside Boulevard, SM Mall of Asia grounds, on November 30 for Real LIFE Foundation’s annual Race for LIFE 2015! Now on its eighth year, the Race for LIFE is for the benefit of over 250 scholars of the Real LIFE Foundation all over the Philippines. The Real LIFE Foundation is the social responsibility arm of Victory and Every Nation. Our way of showing compassion to the poor is through the provision of Scholarship Grants to high school and university students. We believe that it is through education where the poor can get out of poverty. To date: Real LIFE has granted over 1000 scholarships since it started in 2003. Real LIFE is currently handling 260 scholars nationwide. Together, let’s change a life and change a nation! Participate in the Race for LIFE 2015 and let’s help support the education of over 250 scholars of the Real LIFE Foundation all over the Philippines.